Heat oil in a large skillet over medium-high heat. 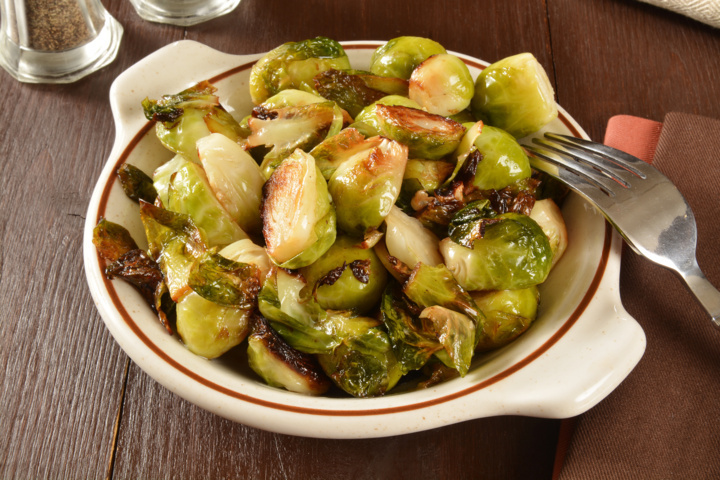 Add Brussels sprouts, season with salt and freshly ground black pepper, and saute until browned; about 5-8 minutes. Add 1/3 cup water and 1 teaspoon lemon zest (optional). Continue to cook until the water has cooked off and the sprouts are tender; about 5 minutes. Toss with 1 tablespoon lemon juice, place in a serving bowl and top with shaved Parmesan.